NEW CASTLE, IN, January 6, 2019: Citizens State Bank is pleased to announce Ken Hall has joined our Hamilton County Team as a Regional Mortgage Loan Officer for Carmel, Fishers, and Pendleton. Ken has been in banking over 30 years, and has worked in a variety of positions, including investments and insurance. This experience gives Ken a unique perspective on mortgage lending, and the importance of finding the best product for each client’s needs. He takes pleasure in helping clients attain the American dream of home ownership without causing undue financial strain. 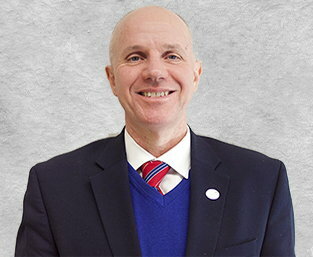 Ken has a servant’s heart, which means you’ll often find him volunteering for his church, for MIBOR (Metropolitan Board of Realtors), serving on the board of his homeowners association, or serving on the board for Second Helpings.